The popular game Everquest will start sending players who break rules to a 'prison server' permanently. 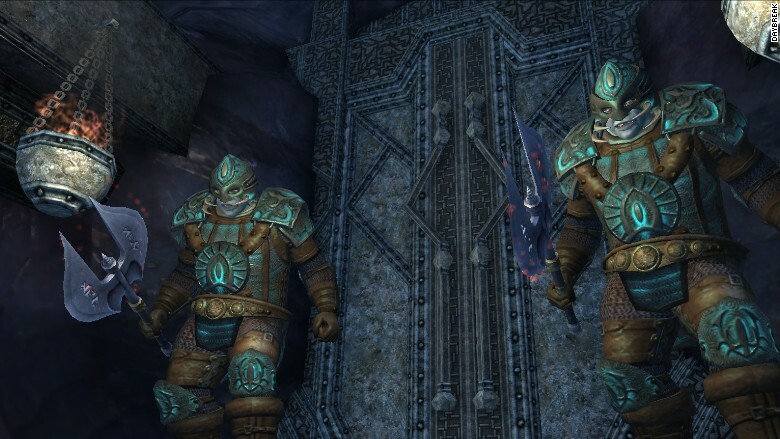 The massively popular video game Everquest II will start sending cheaters and rule breakers to their own "prison server." EQ2 is one of those games, like World of Warcraft, with a huge online community of dedicated players. Playtime is serious -- and bullies inevitably ruin the experience. The exile is permanent, a "ONE-WAY trip for an entire account forever," developers announced earlier this week. The dedicated server is a solution that EQ2 customers have wanted for years as a way to deal with disruptive players. A team of Game Masters will decide who gets banished. Players relegated to this Australia of EQ2 can continue to live and socialize in their own, separate virtual world and can maintain their membership. However, they won't get any customer support, and they won't be able to rejoin the larger game community. "As gamers, we recognize there are some players who like to step outside our rules," the developers said. "Ultimately, players who break the rules -- or want to -- will have a world of their own to do... whatever they will." Daybreak, the company that makes EQ2, is calling this an experiment. "We wanted to see what happens given it's not a very common option," it said. Typically, video game companies punish bullies by kicking them off a session or temporarily banning them from playing. But the punishment clearly isn't severe enough because these online trolls tend to pick up their bad ways again later. That's why Daybreak is trying out this rigid new approach. But this is a penal colony anyone can visit. Players who are curious about what it's like in this prison server can ask to join through the game's petition system.